One unicorn horn or two? Two leading Indus researchers, after years of thought and research, came to different conclusions. The late Dr. Gregory Possehl, certainly one of the most skeptical of archaeologists, wrote "In the end, I believe that the single horn on the unicorn seals was an artistic convention. 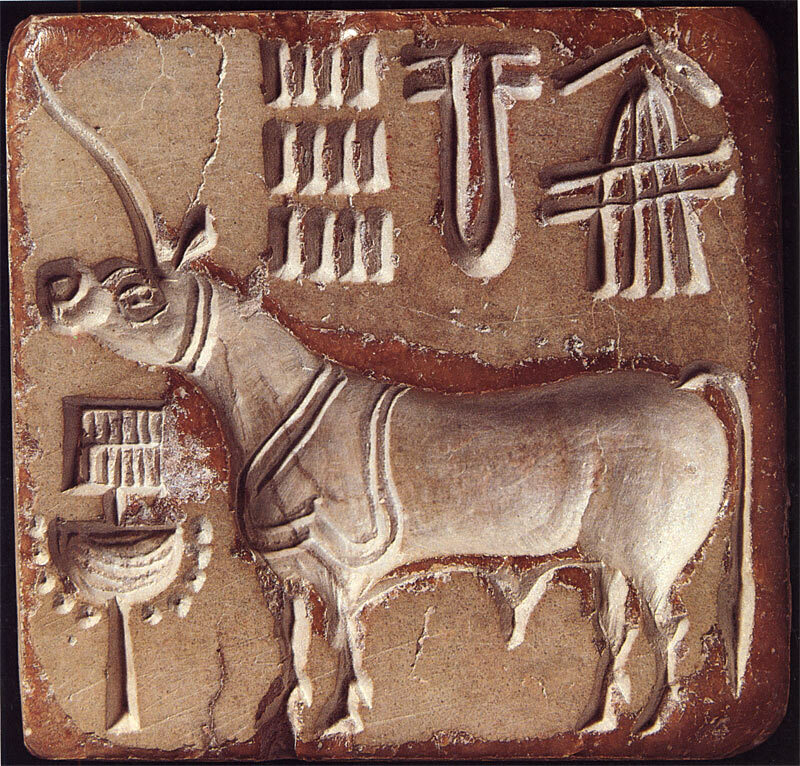 This implies that the animal is probably a real bull and that the unicorn of India as reported by Ctesias is a separate matter." 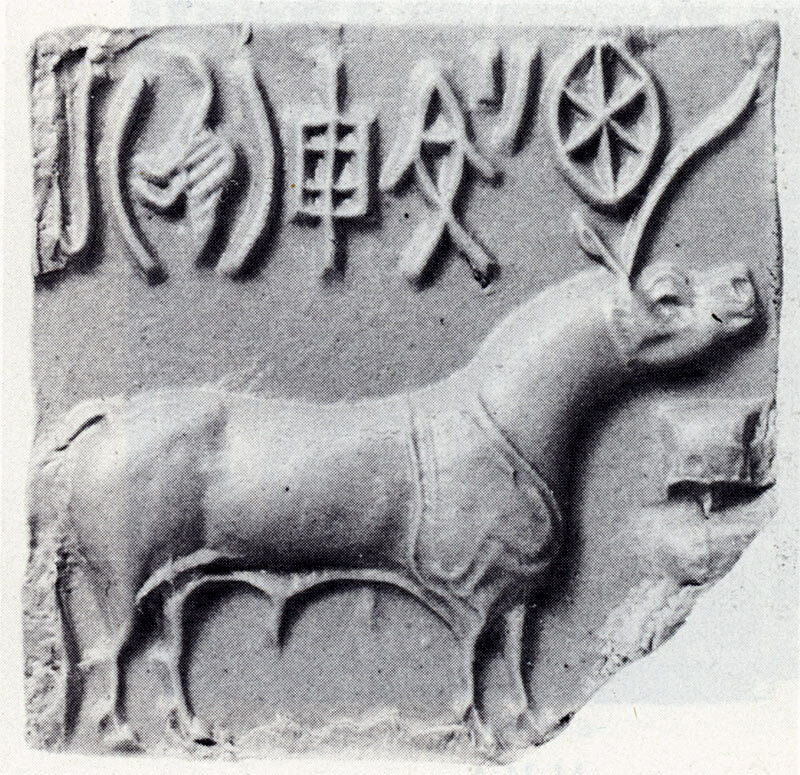 Dr. Jonathan Mark Kenoyer, on the other hand writes: "After examining unicorn seals in detail and also examining most extant examples of terracotta unicorn figurines, I am convinced that the Indus seal carvers and clay modelers intentionally depicted a one-horned animal that should be considered the earliest example of the unicorn. 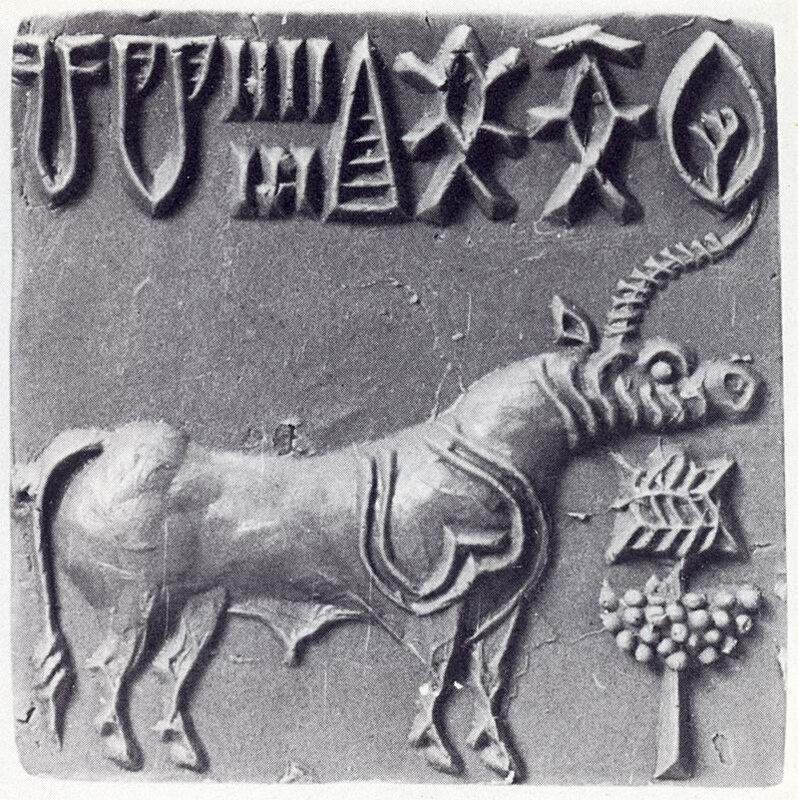 Until the Indus script is deciphered, we will probably not know what they called this animal, but it is not unlikely that the word is incorporated in many of the inscriptions found on the seals themselves." 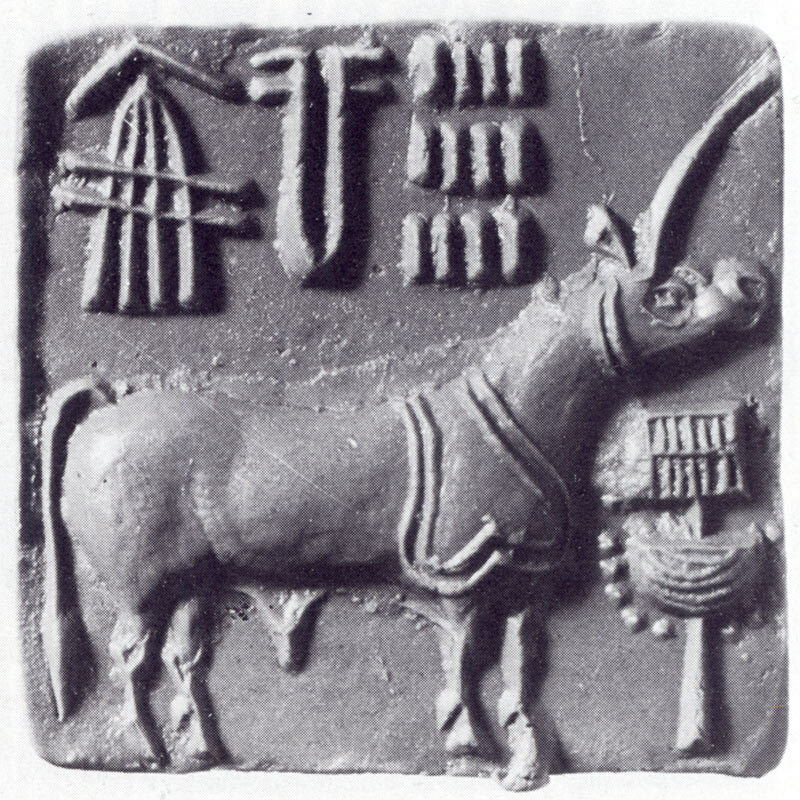 Certainly the four images here, one of a seal and sealing struck from it, suggest that the unicorn figure could be paired with some long and complex sign sequences.